Raw brownies….. nothing but goodness!! 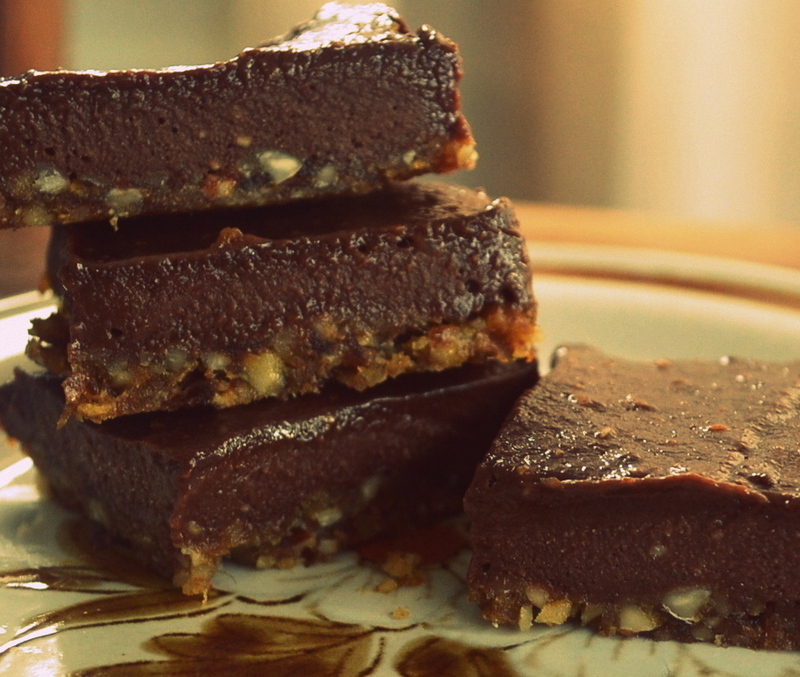 Try this… try this… try this…….I found this recipe on a blog called Back On Pointe and just had to give it a go…..
One of the best versions of a raw brownie I have ever tried! It will convert even the biggest sweet tooth! •Mix together all bottom ingredients in a food processor until well blended. •Mix together top ingredients in a food processor until well blended. •Spread top blend over bottom layer base until evenly distributed. •Place in freezer for 30 minutes. •Cut into squares and devour…. •Re-freeze whatever you don’t eat for a later date. < Pizzey Park Skate Session….